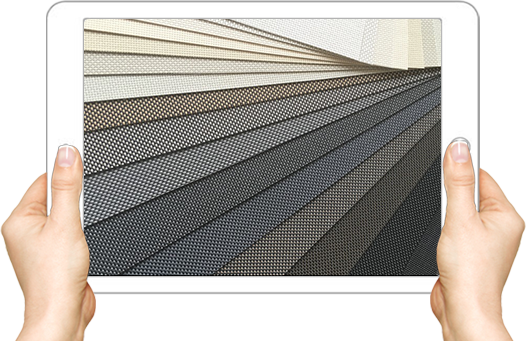 Venetians, Verticals, Pelmets, Curtains & Awnings Online. Width / Drop Price Sheet. Configure and manage your width / drop based price sheets. Includes Digital Colours from most of the major fabric suppliers. 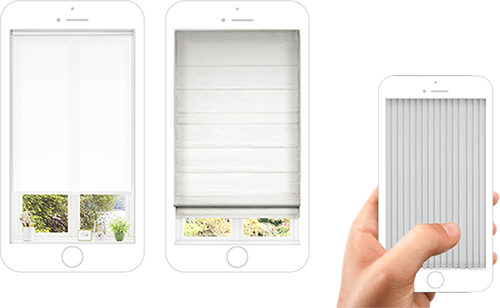 Includes options for products types such as: Roller Blinds, Roman Blinds, Vertical Blinds, Venetian Blinds, Plantation Shutters & Curtains. 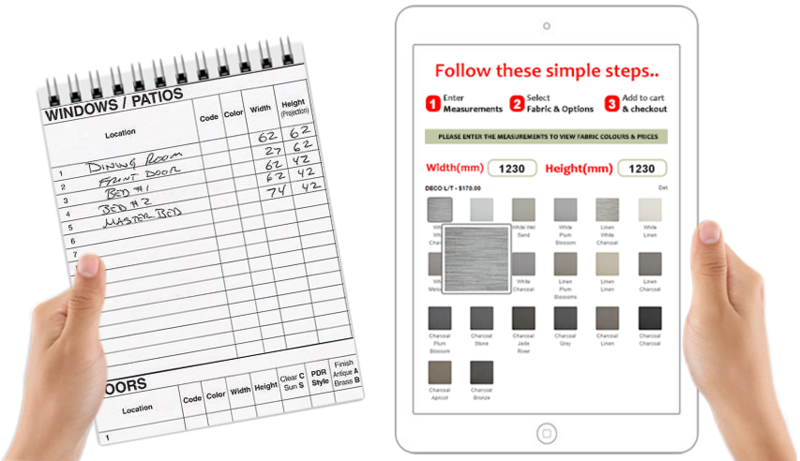 Identifies the exact price for the measurements and displays the fabrics for selection. If fabrics are not supported for the measurements it will also display the contact details for custom manufacturing. Allows to sell accessories and ready made products as individual items. 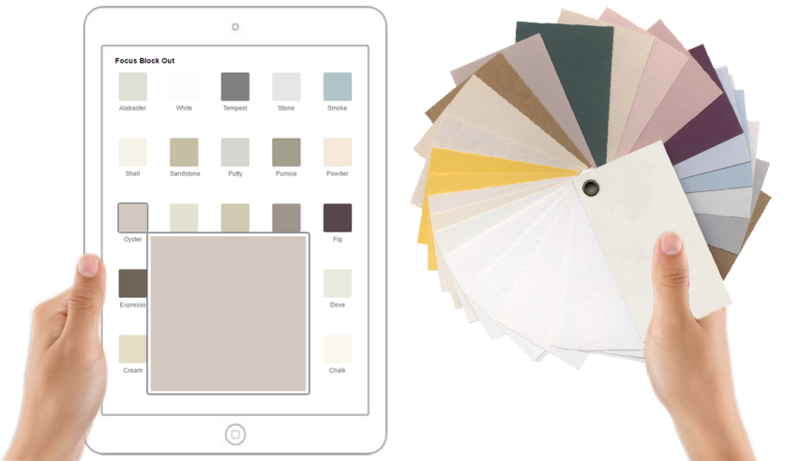 This feature allows the user to select fabric colours and order samples before processing to actual order. 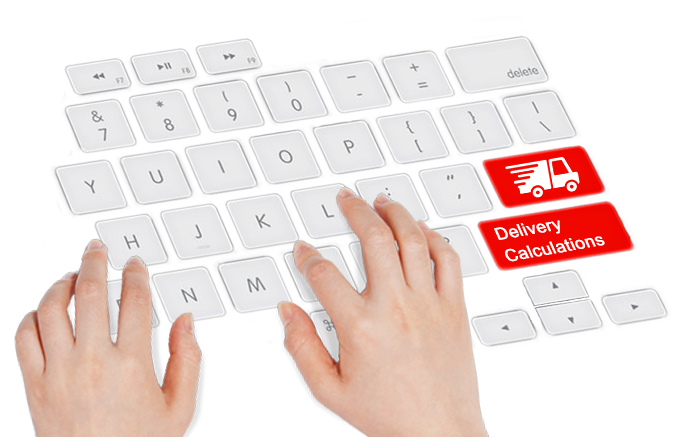 Our convenient shipping and online payment solutions can help make selling online simple. 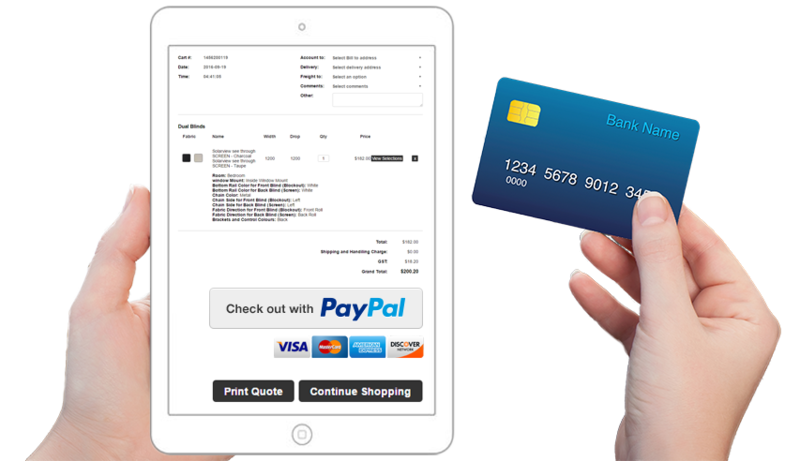 Includes simple integration with PayPal & third party Payment Gateways. 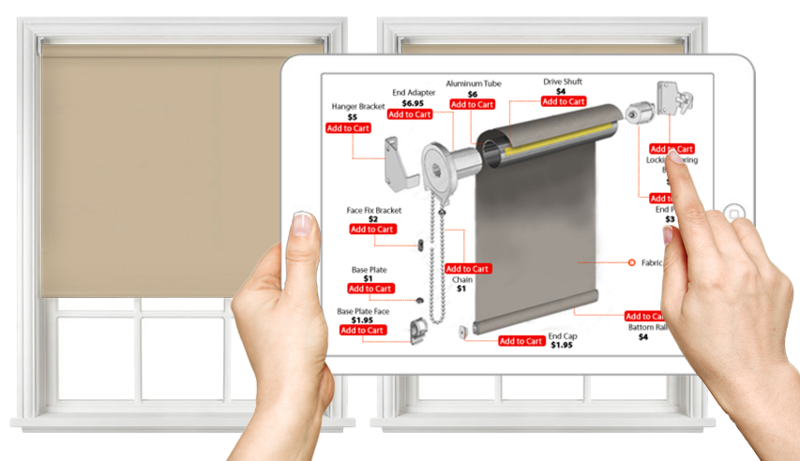 A complete solution for blinds ecommerce, sign up today!